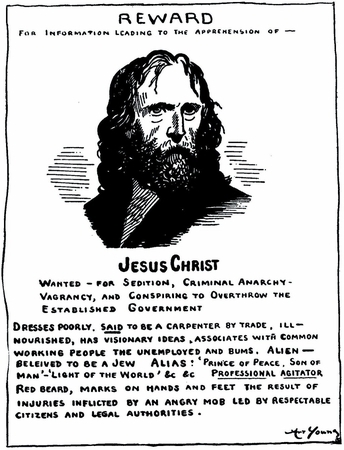 This cartoon was created by American socialist cartoonist and political activist Arthur "Art" Young in 1921. In 1917 Young was charged by the U.S. government under the Espionage Act for another "subversive" cartoon he created for The Masses magazine in opposition to World War I. The charges were eventually dropped after two trials ended with hung juries.